Buckinghamshire Mind are a local charity based in Aylesbury. We have been supporting them since 2004. As they are affiliated to MIND they already have existing brand guidelines which we follow. However we do have the flexibility to add in artwork created by their service users which we do as often as we can. 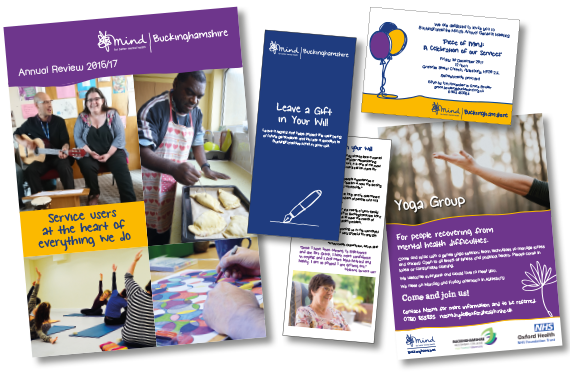 We always try to produce eye catching promotional material and stationery whilst keeping within the charity’s budget.